1802. An ancient Scottish university is wracked by murder. A vindictive professor, a man seeking ministry, and an uncouth student lie dead. But who wanted to kill them? Charles Murray, a student with enough problems of his own, is drawn into the mystery, where neither tragic accidents nor good friends are what they seem. Death in a Scarlet Gown is first in the Murray of Letho series. This novel was quite slow to start but life in and around St. Andrews and the relationships of people within the university made very interesting reading. The first murder didn't take place until halfway through the book which I thought was a little too far in, but, the writer makes good use of this time to introduce and fully flesh out the characters. We get to know Charles very well and we learn of his difficulties with his father who is threatening to cut off all financial support if he doesn't come back to run the family estate and get married. Charles has no intention of doing either. Not yet anyway. Charles is very resourceful though and by the end of the book he has secured a way of funding himself until graduation. I liked that this book was set in Scotland and not the usual ballrooms of regency England. The tone of the writing was serious and literary in style which complemented the academic setting of St. Andrews. I also enjoyed reading some familiar Scottish colloquialisms that we in Donegal, Ireland also have in our dialect. This is a very cleverly written murder mystery and I was completely clueless as to who the murderer was until it was revealed in the last few pages. I will definitely be following the rest of the series. 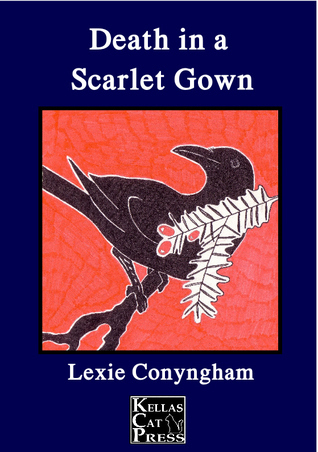 Death in a Scarlet Gown is book one in a seven part series.